This is Max. He’s been in the building trade for 7 years now, and he’s also a pro at fitting Maxtop. Today he’s letting off some steam and having a rant about his top peeves in the installer game. You know how it is. Just when you think you’re steady away, something just comes along and p****s on your bonfire. I’m not one for moaning, but these are some real issues. I’m sure you’ve all felt these frustrations before, so hopefully by talking about them we can work out some solutions and make our jobs easier. There’s nothing worse than having to work with a dodgy kitchen. A typical cowboy job, we all know them. It adds unnecessary hours and effort onto the job if you don’t have the right gear. Really, suppliers’ ought to be sorting out the right tools for the job so we can deal with the knackered walls and get the new worktop’s fit cushty. That’s why I’ve been with Maxtop for so long, they look out for you like that. Classic problem. You turn up to the job, unpack all the kit and it’s wet through or been bent on the way over. It makes you look like a plonker before you’ve even got started. It’s hard enough grafting all day to find out the worktops are gonna need three of you to shift ‘em to the right spot as well. Ideally, suppliers should be looking to bring some lighter stuff in, it’ll help us work better and it’ll be less likely to get damaged on its way over too. Maxtop Quartz is what you want really. This one’s a pain in the a**e as well. If the goods don’t turn up on time and you’re having to bell some hotline for hours on end, only to find out it’s stuck on the M1, well, needless to say it’s not what you need. This kind of stuff puts jobs over schedule and generally messes up plans, so it’s a shame the suppliers hold the cards in this kind of situation. Really, you want a good system going with the supplier to make sure you’re in sync and it’s coming at the right time. At the end of the day, bad quality or damaged worktops make for a bad end-product. Even if you really put your back into it, bad materials will make your job look c**p, it’s happened to all of us and it can really knock your pride. No amount of planning can save you from it, it’s either what the customer wants to pay for or all the supplier can provide. Fortunately, there are some suppliers out there which do have quality control, and durable products, which lessens the chances of anything going wrong. Sometimes you just can’t please ‘em. Even if you’ve got the gift of the gab like me, there’s only so far you can reason with some customers, but you’ve got to keep ‘em happy. They’ll change their minds daily, expect miracles and complain about the job. Communication is the key. 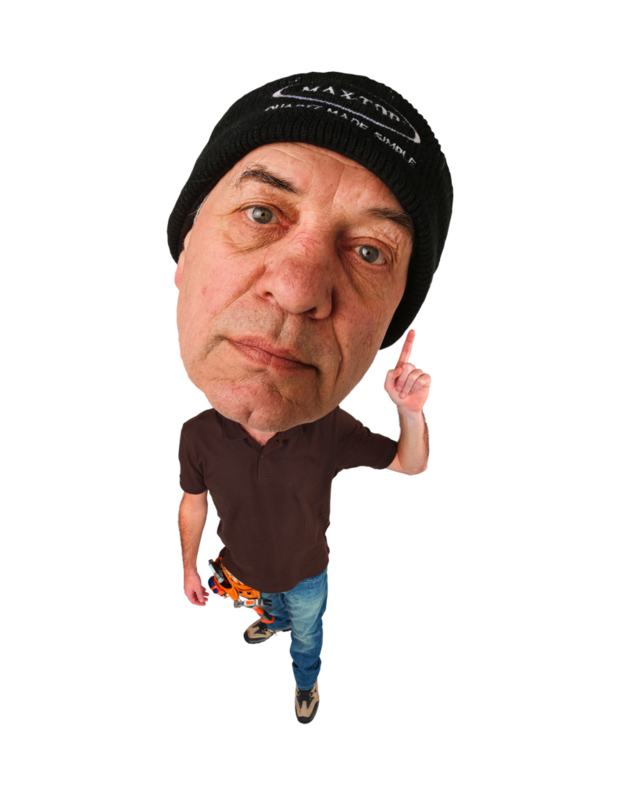 Us installers need to team up with the retailers and make sure the customer knows the deal, from choosing the right materials to the agreeing the right layout to ensure there’s no disappointment and hassle. 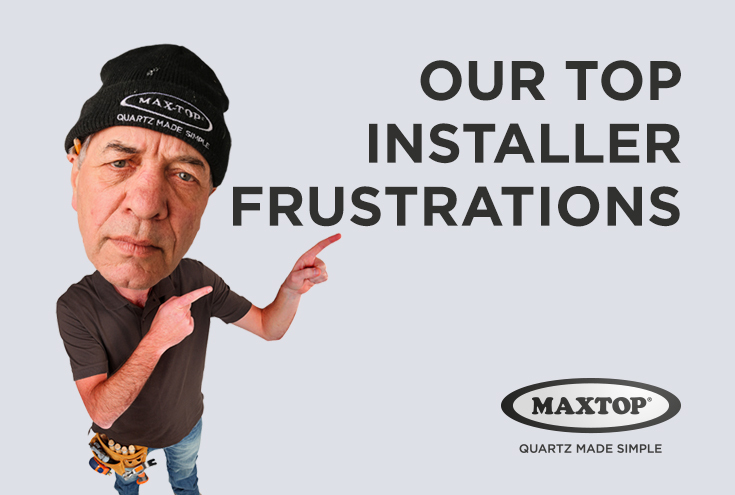 I’ve talked quite a bit about how us installers can work better with suppliers, and fortunately, this is something that Maxtop is great at. The product easy to install, durable and cost effective, so everyone’s happy.